There are lots of apps out there designed with the traveller in mind. Whether you travel for business or vacation, these apps can make your life on the road a little easier. Airbnb: You can reserve luxurious villas and even private islands with Airbnb. Choose properties in over 33,000 cities worldwide with just a tap of a button. 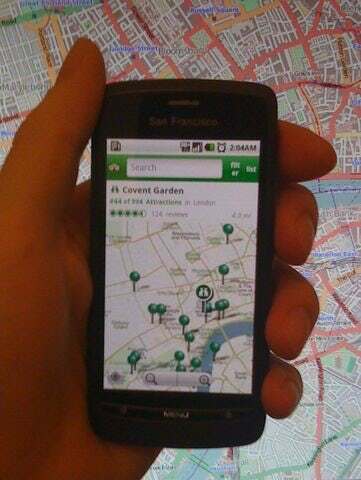 TripAdvisor Offline City Guides: You simply download the guides so you can access them anytime, anywhere, without internet access. TripAdvisor offers essential travel information and reviews for your next business trip. Wikitude: This augmented reality app provides you with information about your location, just by taking a photo of your surroundings. You can find restaurants, cool attractions and nearby accommodations. CoPilot GPS: This app provides detailed street maps of the U.S. and Canada, by storing the Maps in your iPhone. You don't need to worry about mobile service or data plan and it is suitable for traveling in "dead zones." Talkatone: As the highest rated phone app, with more than 8 million downloads, Talkatone offers you unlimited free calls and texts to anyone, anywhere. You simply need to have an existing Google Voice account, WiFi or 3G/4G network to call anyone in US and Canada.